Sudan | Hayat Alvi, Ph.D.
No doubt, many Muslims are expressing genuine hurt feelings and passionate emotions in reaction to insults and offenses targeting Muhammad, the last prophet of Islam, in the film trailer. If we look back at the Salman Rushdie affair in the 1980s, we see that such sensitivities have not changed, and on the part of more orthodox and conservative Muslims, they have only intensified. In addition, this film comes in a long series of anti-Islam expressions, like the Danish cartoons, the threat of Quran burning by Terry Jones, the accidental Qurans burned in Afghanistan, etc. These recent incidents have only reinforced the narrative among many Muslims that the West is against Islam and permits such offenses with impunity. That’s the perception fueling the anger and hatred. Yet, there is no condemnation of killings in response to these perceived offenses, like the murder of Theo Van Gogh, for example. Objective parity is not part of the narrative in this case. Such hurt feelings and anger never justify the violence and vandalism that the recent protests have generated. In the big picture, so many films, TV shows, art exhibits, and popular culture programs and performances have insulted Christianity and other religions. Consider “The Simpsons,” “Family Guy,” “South Park,” and “Monty Python,” to name a few, which are film producers and programs that have repeatedly ridiculed Christianity and other faiths with the sharpest irreverence and mockery, yet we never see violent reactions to them. Among Islam’s ultra-orthodox and extremist elements, resorting to violence and calling for the death of the offenders are all too quick to the draw. No one seems to pause and consider the consequences and damage to Islam’s image as a whole, as they become so consumed by their emotions and hatred. There have been calls for peaceful protests by some, but mob mentality is hard to control especially once it gets out of hand. This brings me to extremists pulling strings behind the scenes and having a field day. Undoubtedly, extremist leaders at local levels see an opportunity in manipulating and exploiting the emotions and passions of the masses, especially those who embrace common extremist ideologies. It is no coincidence that the attacks on the US consulate in Libya and the US embassy in Egypt fell on September 11th, which reinforces the theory that there is more to this violent fervor than just emotive reactions to the offensive film, which most protesters have not even seen (and for the record, the trailer is not worth one’s precious time). Some analysts are also pointing to the revenge factor, especially in the case of the attack in Benghazi, Libya, that killed US Ambassador Chris Stevens and his security detail. In June Al Qaeda’s number two leader in Yemen was killed, and he happened to be Libyan. Furthermore, the extremist Islamists are dismayed at being sidelined and even delegitimized upon the 2011 uprisings and revolutions that toppled decades-long secular dictatorships. For just as long, these extremist groups spread throughout the region, although small in numbers, were forced to operate underground. Once the revolutions took place last year through mostly nonviolent protests and civil disobedience, the extremists had the rug pulled from under them. Even the Islamist parties that have come to power following the revolutions in Tunisia and Egypt have to balance their respective Islamism with moderate secular and liberal ideals and policies. This also angers the extremists, who feel that these Islamist governments are “too soft” in their Islamism. 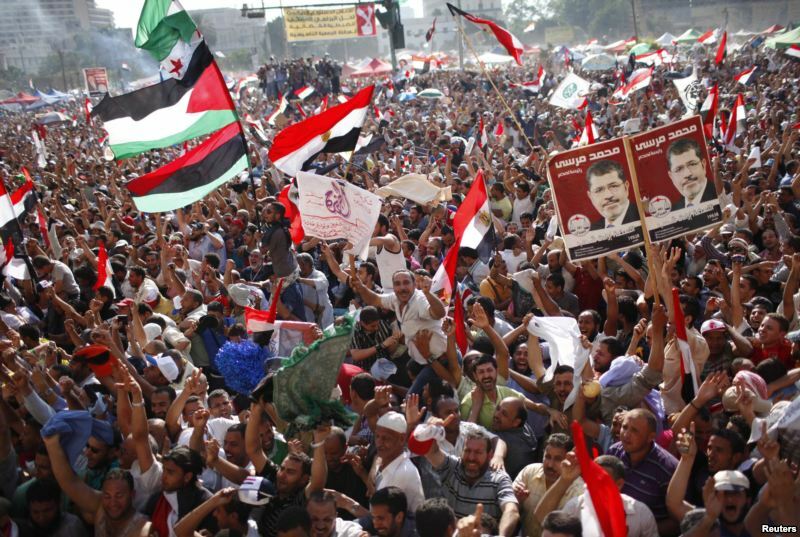 Particularly in the case of Egypt and Sudan, Islamist hardliners are pressuring the governments to capitulate on some of their demands to implement stricter Shariah rules and policies. These Islamists constitute major political constituents in some cases, and so the governments cannot be seen as leaning too much toward secularism and liberalism. Similarly, the protesters, especially the young men, continue to hold grievances against their own governments for failing to meet their needs, especially providing jobs and a better future for the next generation. Thus, woven into this discontent about the anti-Islam film are the underlying grievances against respective governments, especially for socioeconomic reasons. Change is not occurring fast enough for many, and this has been an opportunity to express their multi-layered anger. 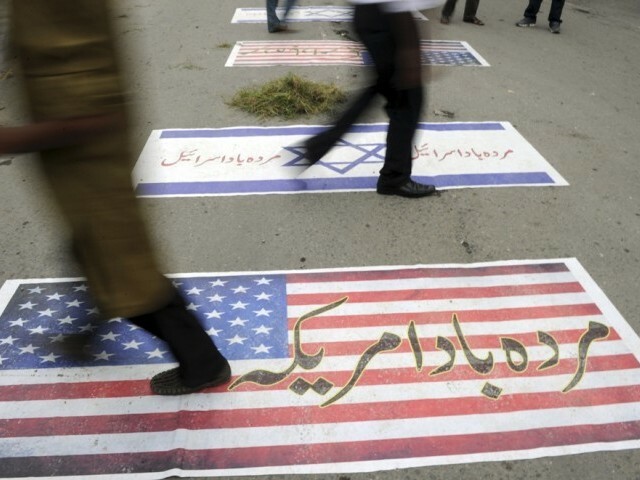 Anti-Western and especially anti-American sentiments are also being exploited by various elements. Many people in the region, but certainly not all, see Western values, especially freedom of expression, as “boundary-less,” meaning that these freedoms and rights have no limits. This is not exactly true, because we have laws against “hate speech” and of course the exception to the First Amendment right to free speech and expression exists for the sake of public order and safety, prohibiting incitement of violence. The “shouting ‘fire’ in a crowded theater” phrase aptly describes this exception. But, most people in the region are not aware of these provisions and exceptions. They simply see that an American national has funded and produced this vile film, and that the US government should take action against such offenses, and place boundaries or “reasonable limits” on free speech and expression. US Secretary of State Hillary Clinton and President Obama have unequivocally condemned this film, as well as the violence in the Muslim world. But, they have no authority to undo the constitutional laws that grant all Americans First Amendment rights and freedoms. The First Amendment embodies the fabric of American values, and, by the way, it also grants everyone the freedom of religion. We should never compromise on that. The last few days have been extremely sad, tragic, and disheartening. Too many breaches have occurred, including the murder of Ambassador Stevens and his colleagues. Also, the loss of life of protesters is, in my opinion, such a waste. “Further west along the Mediterranean, a Reuters reporter saw police open fire to try to quell an assault in which protesters forced their way past police into the U.S. embassy in Tunis. Some smashed windows, others hurled petrol bombs and stones at police from inside the embassy and started fires. One threw a computer from a window, others looted computers and telephones. A Tunisian security officer near the compound said the embassy had not been staffed on Friday, and calls to the embassy went unanswered. Two armed Americans in uniform stood on a roof. This is shameful, disgusting, and criminal behavior, not much different in measure than the film producer, and in fact is even worse because lives have been lost. This behavior also exhibits extreme immaturity at so many levels. Islam is the youngest of the Judeo-Christian faiths, and its internal ideologies and diverse compositions and manifestations are still evolving. As one student put it, Christianity used to be very puritanical, with the Inquisition, the Crusades, witch-burnings, and the like. Islam is going through its phases and evolutions as well, some aspects of which are still very medieval in their outlook. It’s imperative for the world’s Muslims to reconcile the internal conflicts and facilitate enlightenment and stamp out the extremist ideologies that are so harmful. Puritanism serves no purpose, especially in the modern era. It is extremely counterproductive and threatens regional and global peace and security. Another point for the Muslim world to ponder is this: given all the anti-Americanism and knee-jerk emotional and violent reactions that we’ve been witnessing throughout the Muslim world, Western powers will think twice before helping Muslims again, and that might include the opposition in Syria. Finally, why people continue to take the bait is beyond comprehension. Clearly, this film was intended to provoke anger and emotions. Yet, it seems that repeatedly Muslims fail to transcend the temptations to react, especially so destructively. Consider that the Prophet Muhammad’s own reputation and character should speak for himself. Does he really need people to defend his name violently? Isn’t something wrong with this picture? It only gives perpetual license to the world’s provocateurs, who are probably rolling on the ground laughing, at the expense of global peace.